You should receive an Invitation email from Graitec with a link which includes an Invitation code, if you haven’t received an invitation email from Graitec please email support.us@graitec.com requesting access to Graitec Advantage, once your details have been confirmed you will receive an email invitation. 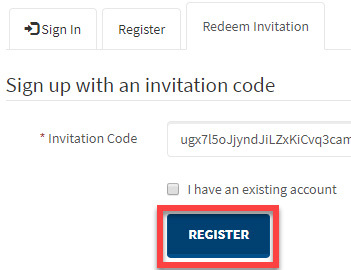 When you click the Invitation Code link in the email you will be taken to a Redeem Invitation page where the Invitation Code should already be populated, click the Register button, then choose a Password and click Register again. 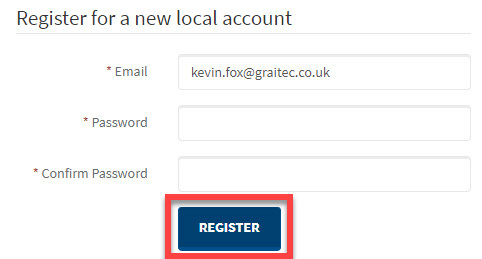 Once you have registered you will be taken to a Profile page, you’ll need to Confirm you email address and update some details before you can use the features of Graitec Advantage. 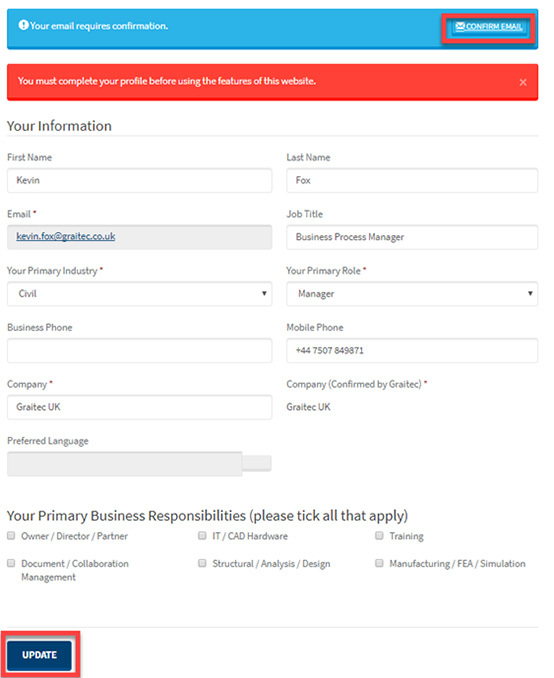 Add some additional details like your Job Title, Your Primary Industry, Your Primary Role and Phone numbers to your profile and then click Update, even if you don’t add any extra details you must click Update otherwise your profile isn’t deemed as complete. If you are taken to another page go back to your profile by going to Account on the right top menu, then click on the Confirm Email button, you will receive an email with a link, click on that link and your email will be confirmed. You are now fully registered on Graitec Advantage. 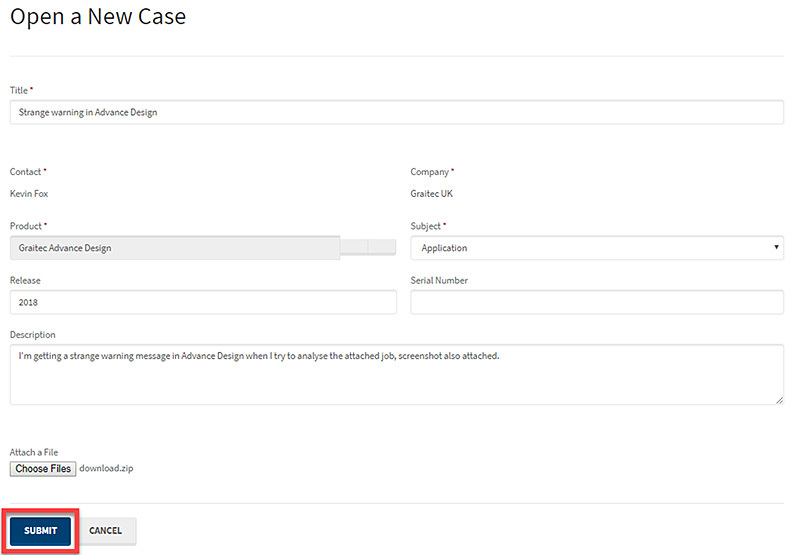 To create a new Support Case go to Support on the top menu, then click Open a New Case. Then enter a minimum or the case Title, Product, Subject and Description, you can also enter the Release version and Serial Number if you have this information and you can attach files or screenshots. 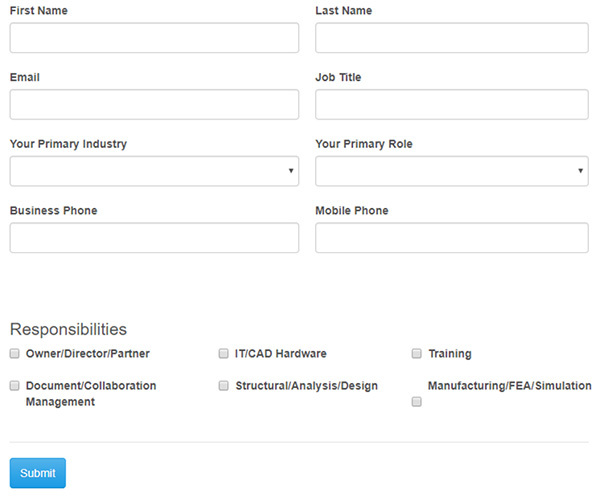 The Product field is a lookup which you can search, you can use a * as a wildcard. All products start with the company name, for example Autodesk AutoCAD or Graitec Advance Design. Once you have filled out the form click Submit to submit your case. You should hear back from someone from our support department without 4 working hours. When you get a reply you will receive an email notification. You’ll be able to see replies as comments against your Case. To make a reply comment you just need to open the Case and click on the Add Comment button. You can view your existing Support Cases from the My Support page, here you will see a list of your Open cases but you can always change the view to see Closed or All Cases using the top menu. If you wish to request a case is marked as resolved you just need to open the Case and press the Resolved button at the bottom. To send them an invite to the Graitec Advantage find the new Contact you have just added, either by searching or scrolling, and click the down arrow on the right of the row and select Send Advantage Invite. An email invitation to the Graitec Advantage will then be sent to this contact automatically.